Shortbread is a wonderfully rich and buttery biscuit with a melt-in-your-mouth texture. It's available in stores at any time of year but is traditionally associated with the Christmas season. It's a lovely treat on its own or with a cup of tea or coffee. Single-serving shortbread biscuits or cookies are easy to make at home. The recipe contains only three essential ingredients—sugar, butter, and flour—and produces a delicious result. Extra ingredients can be added to produce a wide variety of flavours. 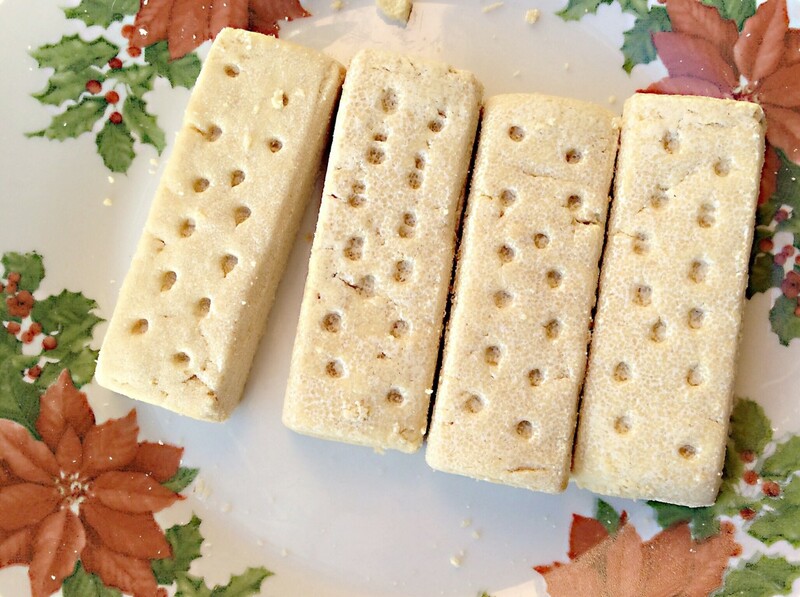 Shortbread has been popular for a long time and has an interesting history. 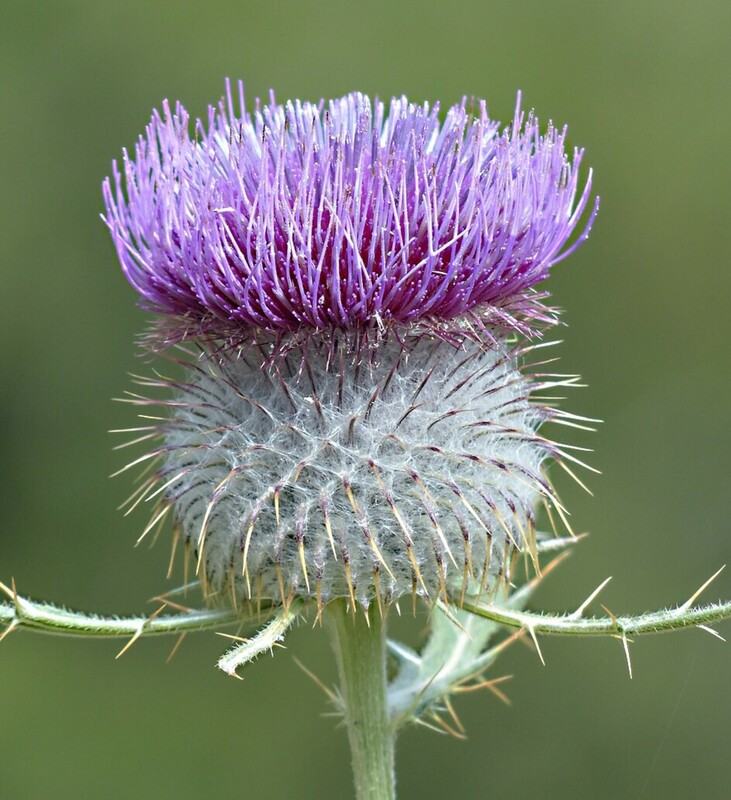 It's associated with Scotland and is very popular in the United Kingdom. The joy of eating the biscuit has spread to many other countries, however. I always have some in my home at Christmas. Like Christmas cake, Christmas pudding with custard, and mince pies, shortbread is a traditional part of my family's holiday celebration. Shortbread is thought to have originated in medieval times, but the recipe may have been discovered even earlier. The reasons why the biscuit is known as "short" and as "bread" are somewhat puzzling. Food historians have given some possible explanations for the puzzle. 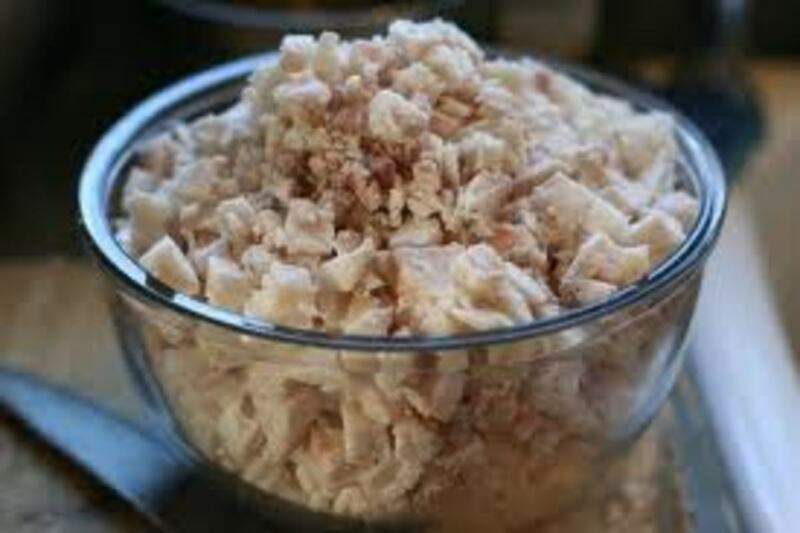 In baking, short is an old term meaning crumbly. The high fat content provided by the butter in shortbread stops gluten strands from developing and produces a crumbly texture. Gluten is a protein complex in wheat and some other grains which acts as a binder in baked goods. Shortcrust pastry in another example of a high fat product that has "short" in its name. This pastry is made with half as much fat as flour and has a flaky texture. The traditional ingredient ratio in shortbread is one part sugar, two parts butter and three parts flour. Today the flour is generally all purpose wheat flour, but it was once made from oats. Why Is Shortbread a "Bread"? It's believed that the first stage in the formation of shortbread involved bread dough. This dough was first baked like bread at a relatively high oven temperature and then dried in the oven at a low temperature. This double cooking process produced a dry, rusk-like biscuit that stayed fresh for longer than bread. The rusk created from the bread was known as biscuit bread. The word "biscuit" is an Old French term. "Bis" comes from Latin and means twice, and "cuit" is a French word meaning cooked. 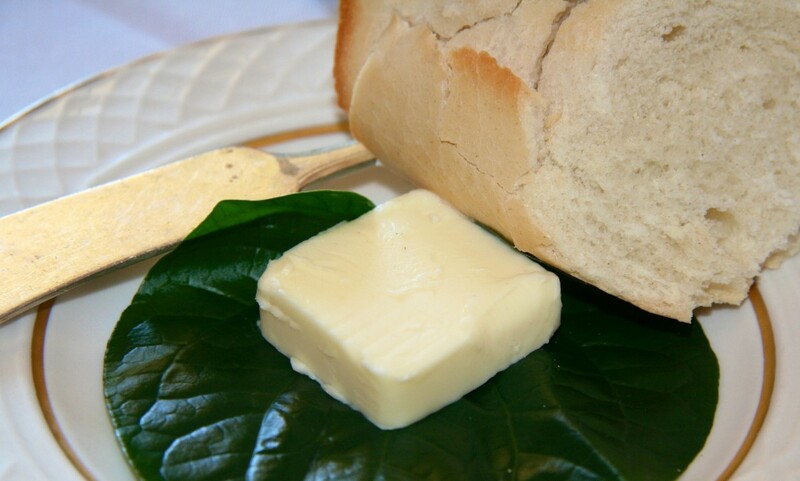 It's thought that at some point in time, butter was used in the biscuit bread recipe instead of yeast. The biscuit then became known as shortbread. 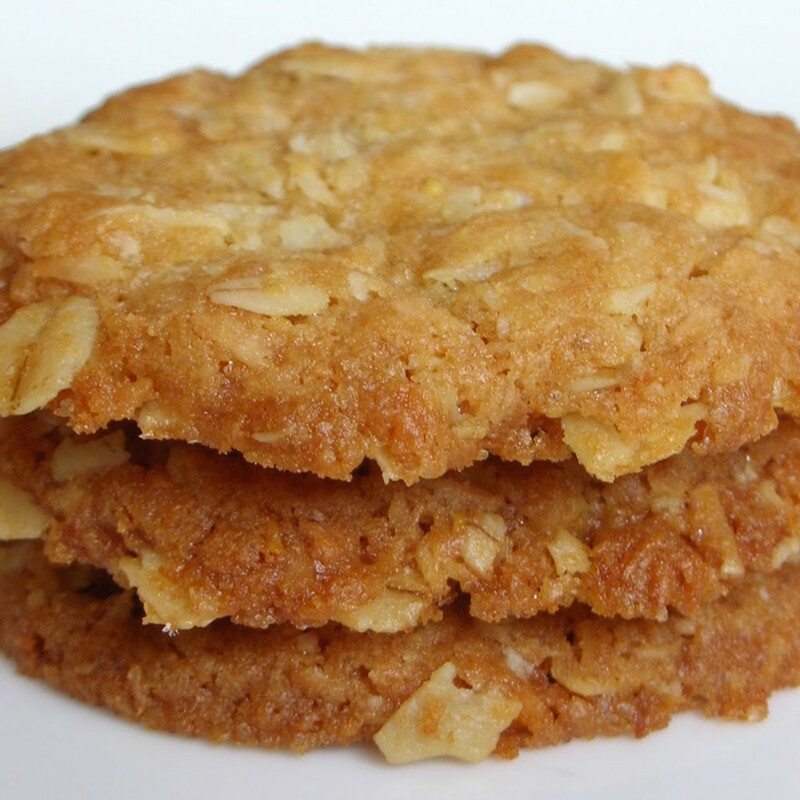 Somewhat confusingly, in North America today a biscuit is known as a cookie. The word biscuit is reserved for a soft, cake-like product that is something like a scone but doesn't contain sugar. Shortbread is traditionally served in the form of large rounds, triangular wedges, and thick rectangles or fingers. Modern shortbread is also sold in biscuit (or cookie) shapes. Shortbread triangles are known as petticoat tails. The triangular pieces of shortbread are thought to have reminded earlier people of the flared fabric in an Elizabethan petticoat. Ladies wore this garment under their dresses. Shortbread is strongly associated with Scotland today. 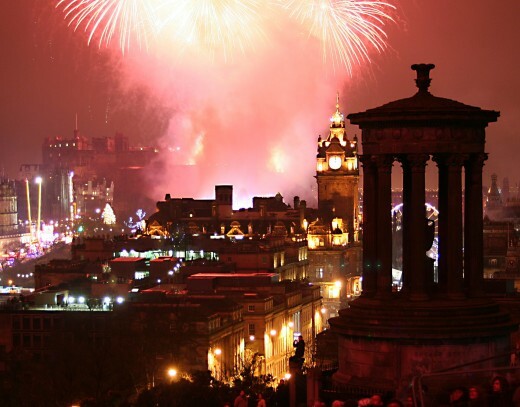 It's a part of the Christmas and Hogmanay (New Year's Eve) celebrations in that country. 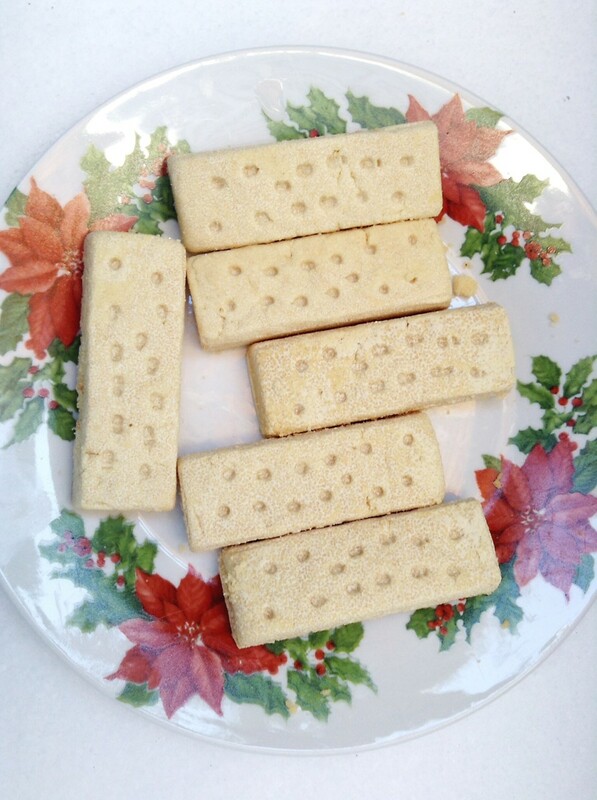 Shortbread is also part of the "First Footing" tradition. In this tradition, the first person who steps into a home in the new year (thereby putting the first foot in the home) has the ability to bring good luck for the coming year. The person must carry certain items with them to ensure good fortune. One of these items is shortbread. Breaking shortbread over a bride's head is another old tradition that's still followed in some parts of Scotland today. Another is to eat shortbread with cheese, especially during the new year celebrations. January 6th is National Shortbread Day in the United States. I think that any day is a good day for eating shortbread, though. Early petticoat tails contained caraway seeds, which are generally left out of modern mixtures. Today's shortbread is available with added fruits, nuts, spices, citrus zest, and vanilla essence. The shortbread may also contain chocolate chips or be covered with chocolate. Shortbread with additions is very nice, but I also like the plain versions. The buttery flavour is sometimes more pronounced in these versions, assuming the maker has used butter instead of vegetable oil in their recipe. Shortbread made with vegetable oil isn't really shortbread! 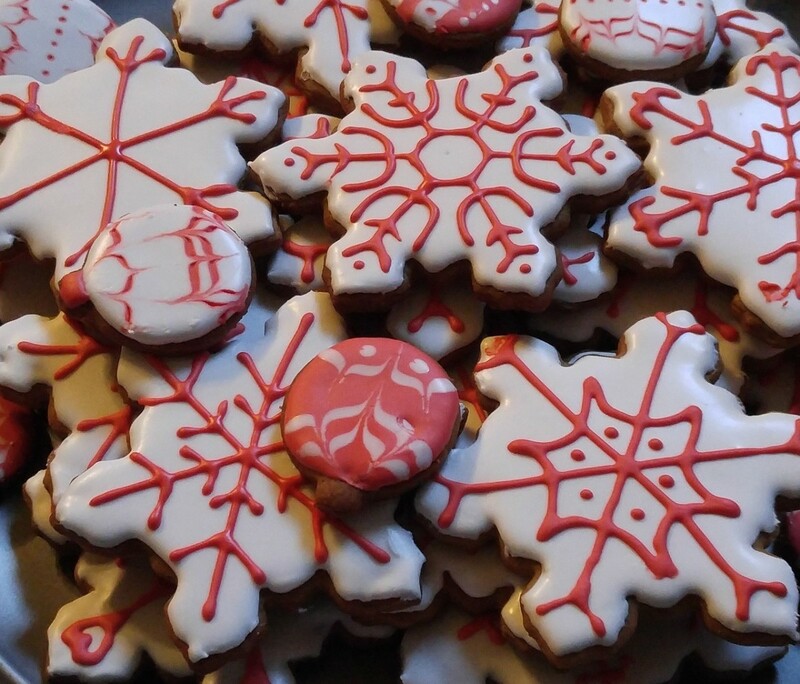 Makers of shortbread today may substitute icing sugar (powdered sugar) for some of the regular sugar and rice flour or corn starch for some of the flour. They may also add a little salt to the shortbread to bring out the flavour. The surface of modern shortbread is often decorated with a pattern that is created with a mold or the tines of a fork. The basic recipe for making shortbread cookies is very simple. All that's required is to mix butter, fine-grained sugar, and flour together to form a dough and then bake the dough in an oven. The shortbread cookie recipes in the videos above and below are quick and easy. They are great recipes for people who are new to making shortbread or for people who don't have much time for baking. They are also versatile recipes that allow the addition of tasty extras like dried fruit, spices, and essences. Since the characteristics of shortbread depend on its butter content, it's important to buy the most flavourful butter that you can find if you're making cookies at home. I prefer to buy organic butter containing only natural ingredients and no added colour or salt. It's not something that I have in my kitchen all the time, but when I do buy butter I like it to be of high quality. Making petticoat tails is not quite as foolproof as making shortbread cookies. There are several factors that can result in disappointing shortbread when a round for wedges or petticoat tails is baked. Some recommended precautions are described below. Follow the instructions in the recipe carefully. Treat the dough gently once it's formed. Pat it into the tart pan or another round container. Don't fill the container completely so that the dough can spread as it bakes. Score the dough into pieces as though cutting a pie. "Scoring" means making shallow cuts in the dough so that it's easier to cut without disintegrating once it's baked. Pierce the surface of the unbaked shortbread with a fork, toothpick, or skewer. This creates a decorative pattern, but more importantly it allows steam to escape from the shortbread as it bakes and prevents it from puffing up. 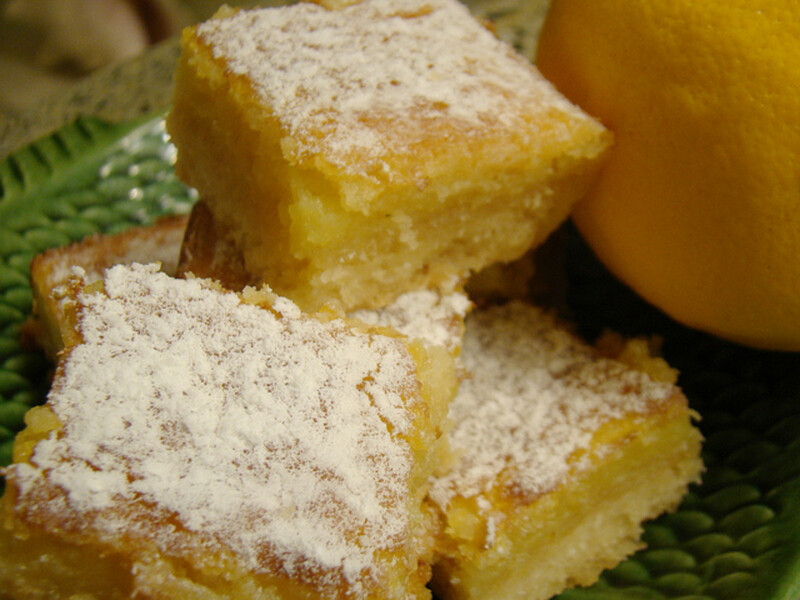 Pierced shortbread is said to have been "docked". Consider removing the centre of the shortbread round, since this sometimes refuses to harden during baking. The centre can be baked on its own to make a cookie. Some recipes recommend chilling the shortbread round in the refrigerator for at least twenty minutes before putting it in the oven. I think that anyone interested in shortbread cookies should make them at home at least once before they buy a commercial brand so that they know what the cookies should taste like. Some commercial cookies are quite bland in taste or are overly sweet and may discourage someone from eating shortbread again. I've discovered that there is at least one good type of commercial shortbread available. My favourite brand out of all the ones that I've tried so far is the Walkers brand. Their shortbread comes in different varieties, but all of the plain kinds contain only wheat flour, butter, sugar, and salt. 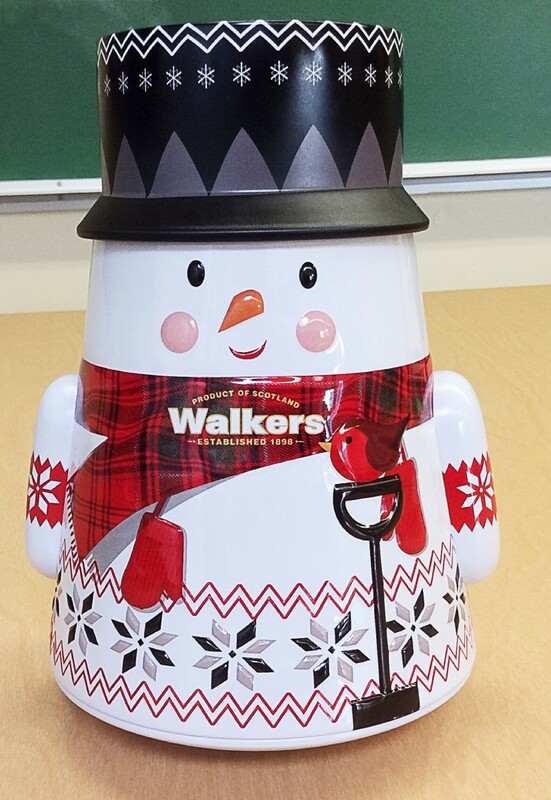 Walkers is a Scottish company that sells gluten-free shortbread as well as the traditional type. Packets of Walkers cookies are available in stores all year long where I live. The shortbread is also sold in special tins and other containers at Christmas time. Last year one of the teachers in my school found the cheerful cookie container shown below. The snowman has an uneven base and rolls around when pushed. The tin contains mini versions of the biscuits. I've also seen a Scottie dog and a Christmas tree tin in one of my local stores. Unlike the snowman, they don't wobble. Millionaire shortbread is not at all traditional, but it's delicious. It's a triple layer bar made of a shortbread base, a caramel centre, and a chocolate topping. The caramel is made by heating sweetened condensed milk for at least an hour. The heat causes the milk to change into a creamy brown sauce with a wonderful taste. The sauce is known as dulce de leche. The longer the milk is cooked, the thicker the sauce will become. Millionaire shortbread is also known as millionaire's or millionaires' shortbread and as caramel shortbread. It can be time consuming to make, but the effort is very worthwhile. When there's no time to make millionaire shortbread, though, a piece of plain shortbread is a lovely treat at Christmas or at any other time of year. Hi, Shizette. I love shortbread, too! It does go very nicely with tea. Thank you for the visit. Absolutely LOVE Scottish shortbread. Ate it all the time growing up as a child... its truly indulgent with a nice cup of English breakfast tea. Definitely need to make these sometime (soon). I love buttery shortbread, so I'm sure I'd like the version sold in your country! Thank you very much for the comment and for sharing the information. I've tasted shortbread from the U.K. and loved it, Ms. Linda! In my country, one local cookie manufacturer has also come up with its own version of the shortbread. You should try it! You'll love its buttery flavor. Hi, vespawoolf. I agree - shortbread can be very addictive! It's often hard to stop at just one piece. Thanks for the visit and the comment. Shortbread is so addictive and delicious! I also like Walker´s of all the commercial brands available. But homemade is even better. The millionaire´s shortbread looks fabulous. I hope to try it next time I make shortbread. Thank you for this useful Hub! Thank you for the comment, the votes, the share and the hugs, Maria! The millionaire shortbread is certainly a guilty pleasure, but it's a delightful one, too! I hope the week ahead is a great one for you and that your enjoy your semester break. Thank you for the comment, the votes, the share and the hugs, Maria! The millionaire shortbread is certainly a guilty pleasure, but it's a delightful one, too! I hope the week ahead is a great one for you and that you enjoy your semester break. This post is not "short" on detail, information and the incentive for me to get some shortbread in this house STAT! The Millionaire Shortbread looks like a guilty pleasure I could enjoy on January 6th and any other day of the year it was available...I look forward to giving this a try over semester break. Thanks for the comment, Kim. Merry Christmas to you, too! Scottish shortbread is certainly delicious. I love it. Hi, VioletteRose. I think that shortbread is a delicious dessert, too! Thank you very much for the comment. Shortbread is definitely a delicious dessert to have for holidays, and of course any day! I actually wondered about how they got the name, thanks for explaining it :) Very informative. Hi, Deb. Thanks for the comment. Scotland has some great recipes to offer us! Sounds fabulous. Now, hand over some authentic Scottish recipes, and I will be happy. Hi, ignugent17. Thanks for the visit. I hope you find some shortbread to try this Christmas! I love gooey caramel too, Cynthia. That would be delicious with shortbread! Thank you very much for the visit. Hi, monia saad. Thanks for the comment and for bookmarking the hub. Thank you very much, itsmesudiksha! I appreciate your visit and comment. Sounds delicious Alicia. Have to say the millionaire's shortbread is my favourite, especially if the caramel is nice and gooey! beautiful article! i had never heard of this before but sounds very interesting. and informative too! Hi, Vellur. I appreciate your comment and vote. Thanks for the visit! An interesting and informative article about shortbread. Never knew there were so many types and now I know what "short" actually means. Voted up, great hub. The shortbread that you've described sounds just perfect, pstraubie! Melt-in-your-mouth shortbread made with love is the best kind in the world. Thank you very much for the angels! One treat that Momma only made at Christmas time was shortbread. It melted, literally, on our tongue. It was a delight that I make each year too. It takes me back to the little girl who was with Momma when she created this delightful treat each year. I agree, Dianna - chocolate does make (almost) everything better! I do love shortbread with chocolate, but my favourite type of shortbread is actually the plain kind. I will probably be eating both types this Christmas, though! Thanks for the comment. I should not read posts such as this before bedtime. You have me wanting shortbread cookies! I love the million dollar version, chocolate makes everything better. Your post is perfect for this season. Thank you for commenting, MsDora. I appreciate your visit. The shortbread cookie turns out to be a rather interesting item after all. Thanks for all the shortbread information and the recipe variations. Hi, Pamela. Thank you very much for the visit and the comment. I hope you enjoy the upcoming Christmas season! I love shortbread and thought maybe it had a long history, but really didn't know. I think it is delicious and the Millionaire Shortbread Bars mayb not be traditional, but they look good. Very good hub at the perfect time of the year. Thank you very much for the lovely comment, Martie! I appreciate your visit and votes a great deal. I usually eat shortbread with tea. I'll have to try it with coffee again! Hi, poetryman6969. I actually like caraway seeds, although I'm not sure that I'd like them in shortbread! Thanks for the visit. Looks tasty. Glad they deep sixed the caraway seeds. I don't like them. Hi, Bill. It's nice to hear from someone else who loves shortbread as much as I do! Thanks for the comment. I hope you have a great week as well. Hi Linda. I absolutely love shortbread. When I was a kid my aunts would make it around the holidays. I like it plain and simple with nothing added. Great hub for the holidays, have a great week. I hope you and your hubby enjoy the recipes, Peg! We were just in the grocery store today when the hubby looked longingly at a box mix for shortbread cookies with Hershey's kisses on top of each. I balked at the price and promised him I'd make some from scratch. Thanks so much for the recipes. Hi, Peg. Thank you very much for the comment and the pin! I like many different types of shortbread, but the plain varieties are my favourite. Like you, I think that any day is a good time to eat shortbread! 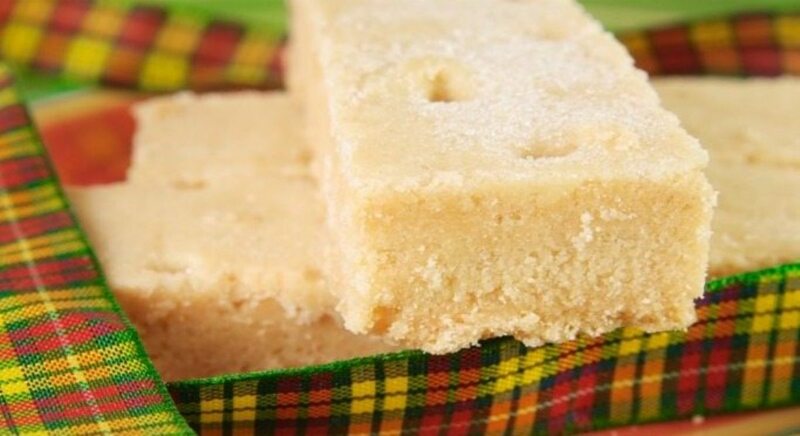 Bookmarking and pinning this great source for a variety of shortbread recipes. I can't wait to try the plain buttery one. Any day is a good day for shortbread or cookies. I will have to try it! Thank you! Hi, Audrey. Most shortbread contains gluten, but luckily there are gluten free versions available. Walkers sells gluten free shortbread. Bob's Red Mill sells a gluten free shortbread cookie mix which is very convenient for home bakers to use. Thank you very much for the vote and the share, ologsinquito. When I eat shortbread with a beverage, it's nearly always tea instead of coffee. The flavours of shortbread and tea seem to go together very well. I agree that shortbread would probably taste much better with tea than with coffee. Voted up and shared. Thanks for the visit and the comment, Flourish. I was surprised when I discovered that there was a National Shortbread Day, too! I've wondered about the name a time or two, so thanks for answering that! That recipe looks really good! And who knew there was a National Shortbread Day? Great hub! Thanks, Maren Morgan. I appreciate your comment. Hi, Bill. Shortbread is certainly worth trying! Thanks for the visit. I don't think I've ever had shortbread, Alicia, but I might have to try it now. Thank you! Thank you very much for the comment and the votes, Devika. I appreciate your visit. Hi, pinto2011. Thank you very much for the visit and comment. Short bread is an excellent treat. I enjoyed reading much more from you. Voted up, interesting and useful. This is a resourceful hub which is equally intriguing and interesting for me as breads are made differently in India. Thank you, Venkatachari M. I appreciate your informative comment and votes. It's interesting to learn about special foods and celebrations in different countries. Very useful and interesting information. Though I am not aware of these recipes, I now come to know much information about making these Christmas recipes. We in India prepare some similar pie recipes at Holi and Diwali festivals. Thanks for sharing the information. Voted up and interesting. Hi, Rachel. Thanks for the comment and the votes. It's great that there are so many gluten free recipes available now. When I was at the supermarket today I noticed a magazine filled with gluten free recipes for cookies and other treats. 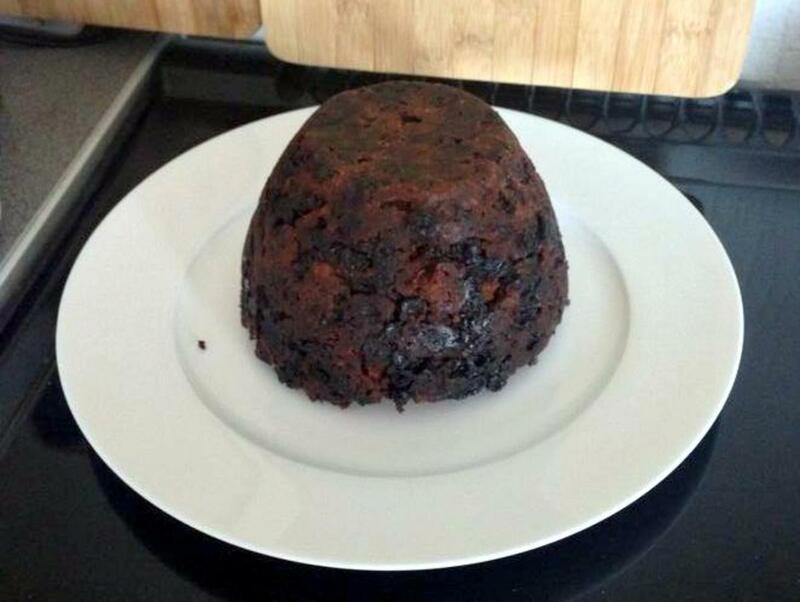 Good luck with your Christmas baking! Thanks so much for the vote and all the shares, Faith! Like you, I enjoy eating shortbread as a treat all year long. I've eaten it since childhood, too. I hope the week ahead is an excellent one for you, Faith. Hi, Jo. Thanks for the visit and the kind comment. Yes, the millionaire shortbread is delicious. I'm planning to make some for Christmas, too! Oh, I have always love shortbread and especially shortbread cookies. 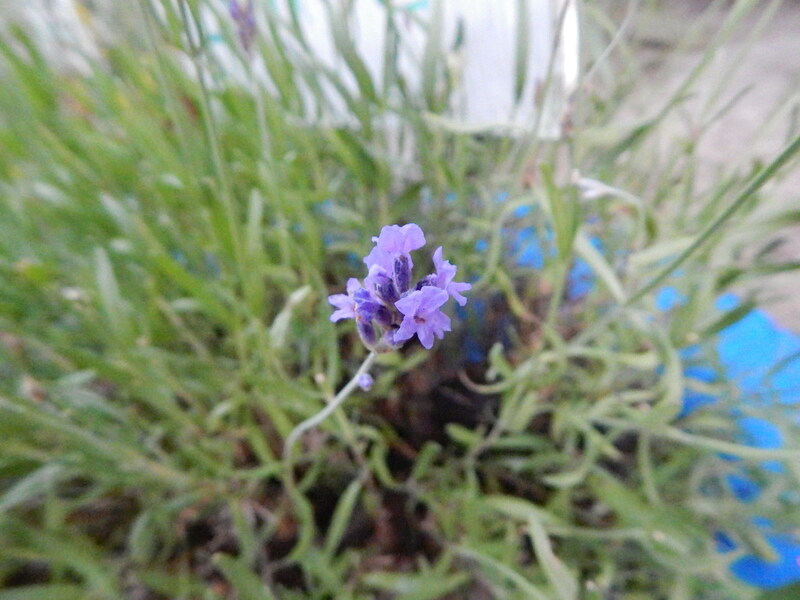 However, I have never make any, but that is going to change this year. Thank you for posting all of the delicious shortbread cookie recipes. My mother loved shortbread, and we always had it growing up. Christmas is a wonderful time to make shortbread, but I do love it all year long. I've been loving shortbread for years, now I know all there is to know about this delicious Scottish export. Maybe I'll try my hand at making the millionaire shortbread for Christmas, it looks yummy. I just need a nice cup of tea now. A useful and very informative article, well done. Thank you very much for the comment, the vote and the share, chef-de-jour. Dunking a shortbread biscuit in tea is a great way to eat it! I love doing that. I've never eaten shortbread with cheese, but I'll certainly be trying that this Christmas. A wonderful informative article on shortbread, thank you. My family really love shortbread; for one you can dunk it in tea plus you can also eat it with cheese as a sort of sweet and savoury duet. Delicious.